Power Outage Puts Friday Freeze on Liv. 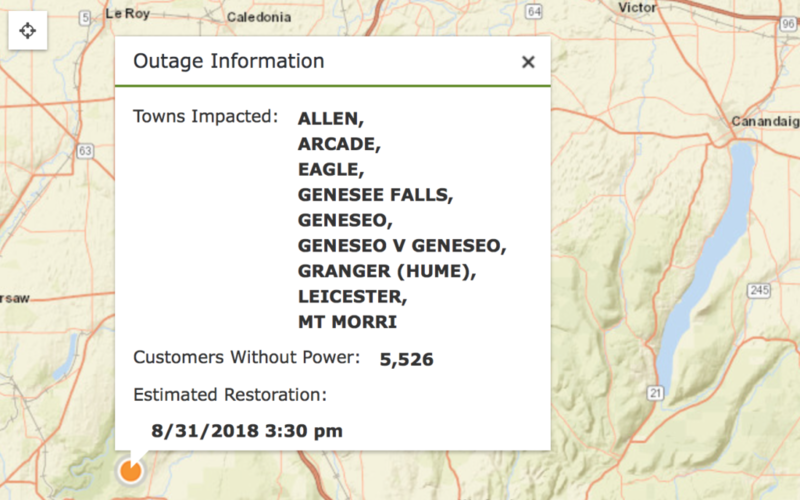 Co.
UPDATE: Some local businesses have reported to the GeneseeSUn.com that RG & E will not have power returned until at the earliest 3:30 p.m.
GENESEO — A massive power outage has impacted Geneseo, Mount Morris, Leicester and numerous other areas. RG & E advises the Genesee Sun that they experienced a power station issue and stated the issue as soon as possible. According to their website over 6,000 Livingston County homes are currently without power. The Livingston County Sheriff’s Office issued an advisement to travels to treat all stop lights as four-way stops until power returns.